The garden is formed as a series of manicured platforms, impeccably kept through the years, within a hidden valley, enclosed on one side by a small stream, and on another by a wooded hill. An ethereal landscape of mature trees, which change colour through the year, transports the garden from one season to another. The platforms, originally intended as locations for the buildings of the museum, now provide the foundations for the sensitively designed pavilions of the resort. 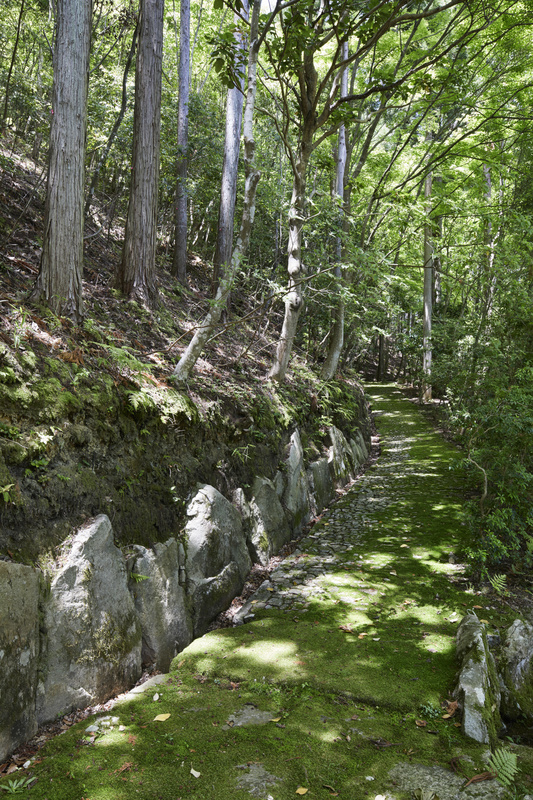 Moss-covered stone pathways laid down by the creator of the garden, some edged in massive cut- stone borders, traverse the site. Graceful garden stairways and pathways lead guests to the upper platforms, and are bordered with colourful yama momiji maples and kitayama-sugi (Japanese cedar) planted in avenues. The garden is cleverly designed to self-irrigate through the collection of rainwater via the site’s numerous hidden caves and water tunnels. 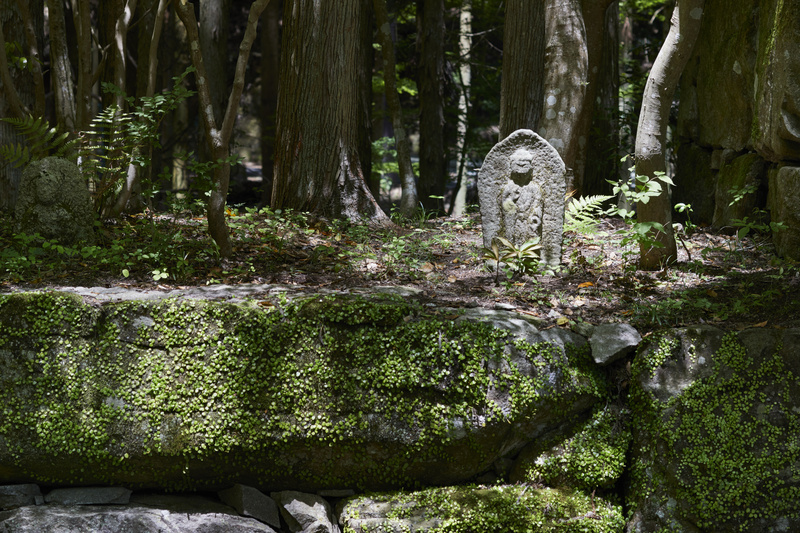 Within the formal lawn in the peaceful centre of the site, large granite boulders, originally selected as sculptures by the former owner, define and hold court over the space. 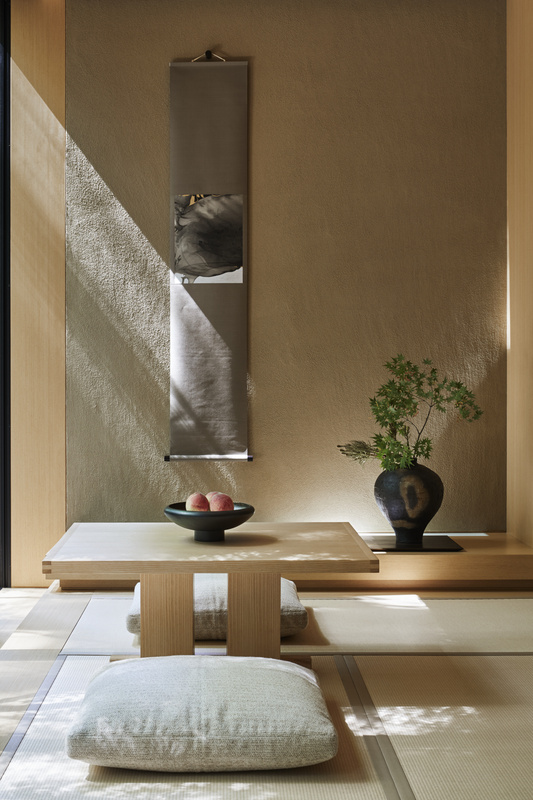 The tranquillity and drama of this setting, magnified by the breeze in the trees, has inspired the respectful architectural design of Aman Kyoto. 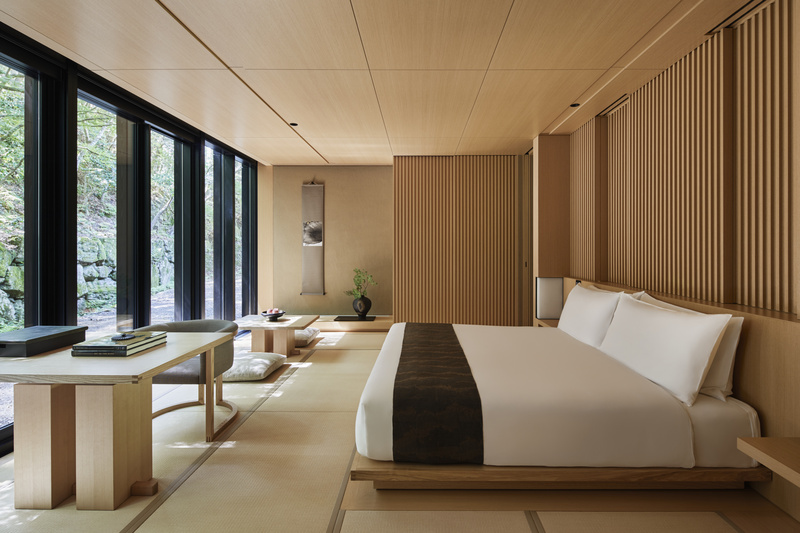 Exemplary in its simplicity, the resort is an architectural masterpiece brought into being by Kerry Hill Architects, who designed both Aman Tokyo and Amanemu. 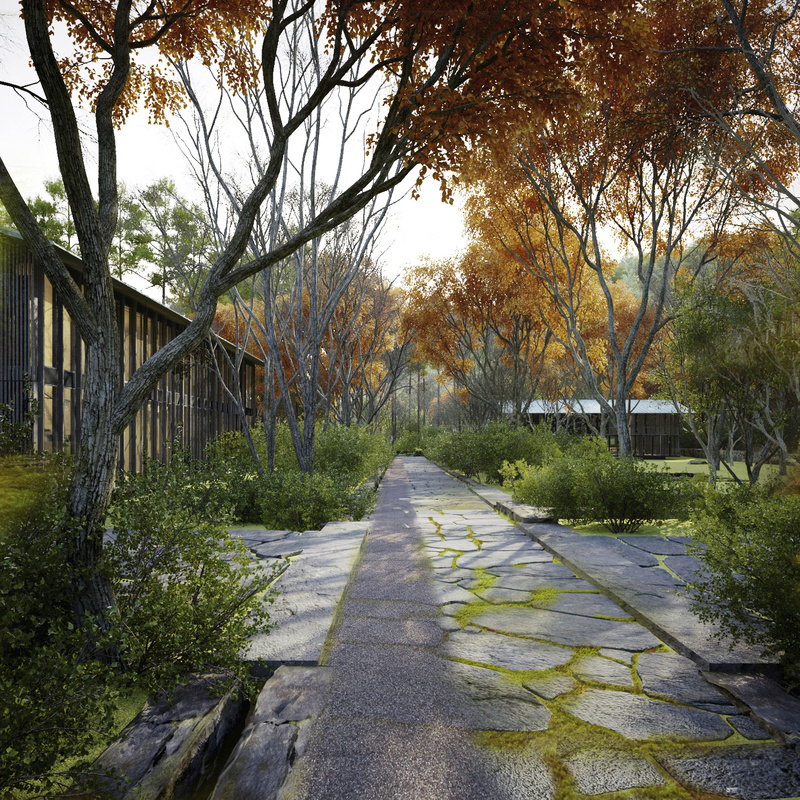 Consisting of a series of standalone pavilions, each with a distinct function, Aman Kyoto includes separate Arrival, Living, Dining and Spa Pavilions, four Guest Pavilions housing 24 guest rooms offering leafy seclusion with garden- or-stream views, and two separate Pavilions overlooking the forest canopy housing a pair of two- bedroom villas of unparalleled luxury. 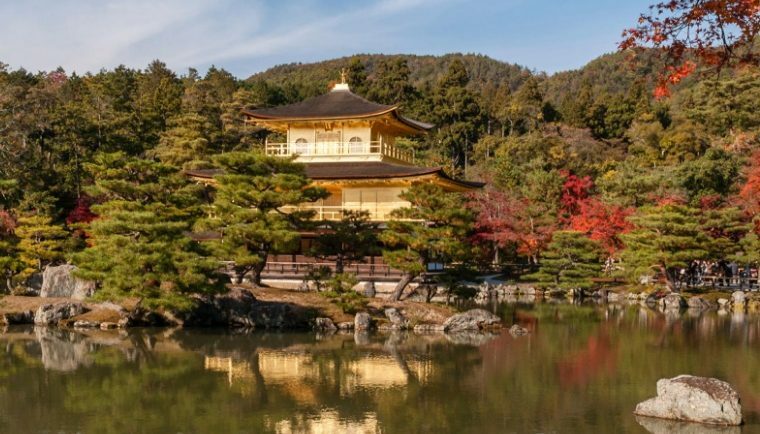 Aman Kyoto demonstrates the brands commitment to Japan, which will be further strengthened with future announcements pertaining to the Chartered Group’s continuous investment in Japan, with a strategic alliance with Aman, which will include the introduction of Residences at Aman Kyoto (2020). AMAN-I-KHAS; A HAVEN WHERE WILDLIFE AND 7-STAR LUXURY, EMBRACE EFFORTLESSLY. Aman Hotels are the absolute epitome of luxurious vacationing. These pictures look almost surreal. Thank you for informing us about the new launch, I will add it to my Japan list. This hotel is a combination of luxury and class. The pictures speak a lot about the fabulous stay one is going to enjoy here. Thanks for sharing about this fab hotel. Aman hotel has that exquisiteness, which charms a tourist. Glad to know about this new Launch in the Japan. It’ll certainly help visitors gain more knowledge. I must say Aman Hotels are combination of luxury and class. The Pictures are so good. perfect for family vacations. Aman hotels are the perfect meaning of luxury and classy . The pictures are so tempting.. I wish i can pack my bag now for a vacation there..
Wow traditional Japanese inn and hot spring… That too in the imperial capital… That is the perfect place for vacationing! Loved the post! Aman Hotels are combination of luxury and class. All the Pictures are amazing. It’s perfect for family vacations. Would love to visit there sometime.